When it comes to Abuse, sometimes the only guilty ones are not the perpetrators of the act, those of us that sit down, fold our arms and watch are equally guilty. Daily, we are bombarded with various scenarios where, as a result of negligence or not being vigilant, children suffer abuse from loved ones or even total strangers. To abuse means to mistreat, maltreat, ill-treat, treat badly, ill-use or misuse. Any situation where a person is being treated with cruelty or violence, especially regularly or repeatedly is abuse. And contrary to popular belief, abuse is not necessarily physical, it manifests itself in various forms. Over the next few posts we want to consider the different types of abuse and how to protect your child from the trauma of abuse. If we can recognize these forms of abuse, then, we can take active steps to keep our kids away from such situations. Prevention they say, is better than cure. In this post, I'd like to address verbal/emotional abuse. Rejection of the child by saying things like "I wish you were never born"
Most times emotional/verbal abusers are usually those closest to such children - school mates [for instance bullying], family members [including the parents]. Sometimes, it could be overwhelming caring for children, especially the younger ones. But, as a mom, we want to protect our kids from an abusive environment and the long term psychological effects of abuse. So, what if you find yourself in this kind of situation? As difficult as that may be, you need to make some drastic behavioral changes to save yourself and your child from this kind of behavior. Take a break to rest well. Sometimes, fatigue and sleep deprivation may lend a hand to your feeling of irritability, and consequently, angry responses. What if you're not the one involved, and you just want to protect your child from abusive situations? Make sure you do something about it - don't overlook abuse! 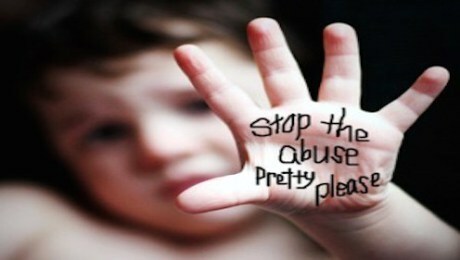 Lookout for the next posts in this Series on Child Abuse where we deal with physical abuse and sexual abuse.